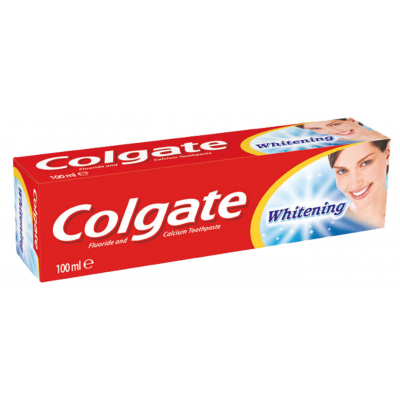 Smile with confidence and show off your pearly whites with the help of this 100ml tube of Colgate Whitening Toothpaste. Colgate Whitening Toothpaste is a fluoride toothpaste with micro-crystals, which help to polish and clean your teeth and gums, and will leave your teeth whiter in just 14 days. Use at least twice daily for 2 minutes.